The demand for high-end containers is increasing day by day. These containers have innovating and phenomenal capabilities. These are designed in such a way that no one stops himself/herself to buy the product just by seeing the container. BoxesMe is providing high-quality boxes with marvelous printing quality. These are of very lightweight, easy to hold and convenient. The most important characteristic is that they have larger durability and easy to assemble. 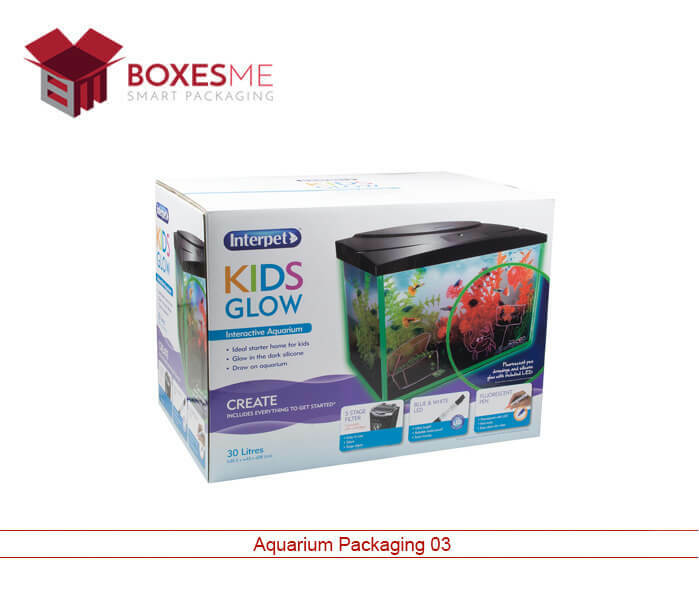 Why BoxesMe best for Aquarium Product Packaging? Everyone wants their products to fit into the proper box. A lot of company has their own fixed packaging offers and do not have any flexibility while our company works according to the client needs. For us, every impossible is possible. We offer a wide range of packaging services available in all shapes and sizes. We have a large range of products boxes and other custom boxes. We always appreciate hearing from our valuable customers. Our services are available 24/7. It is one of the top-ranked companies with amazing quality products. No one can compete with it. They have the highest standard in the world market. Because of their huge range, no one can compete with our company. 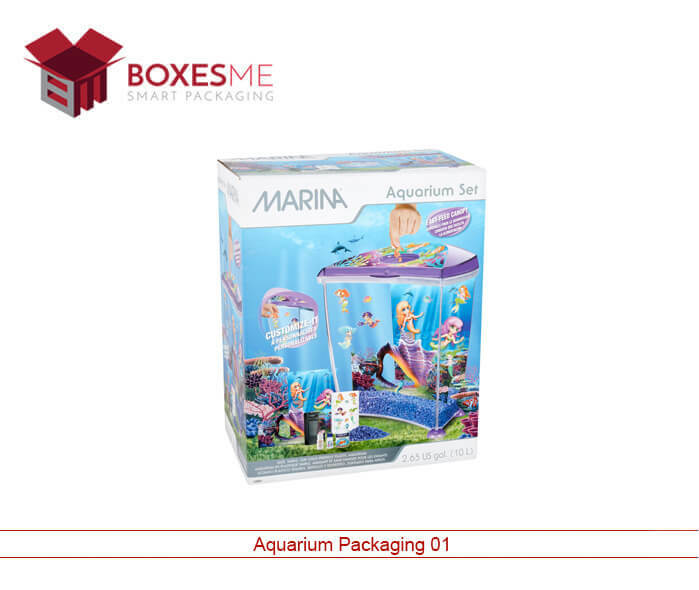 BoxesMe is available in the market and they are perfect kind of packaging for aquarium products. Their highly printed boxes are available in the market with high-quality material, highly reliable, and durable. 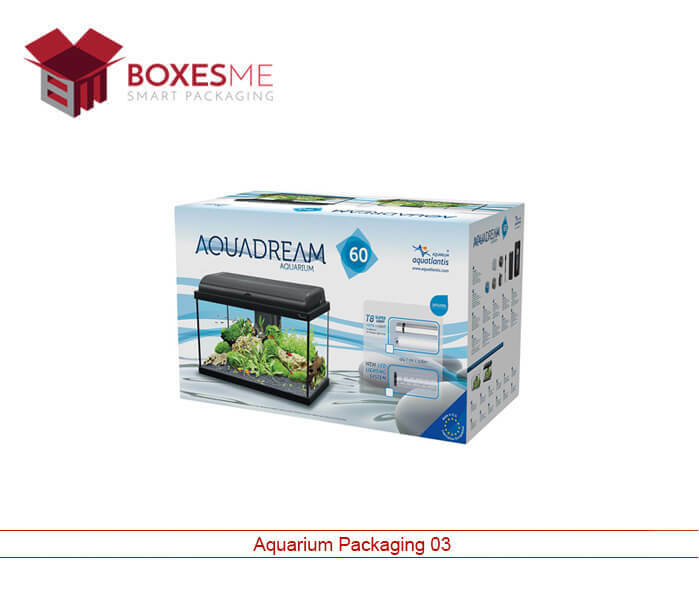 The packaging of the aquarium is something that should be highly reliable as it is something very delicate and fragile. It should be safely delivered to all customers with special care. The correct box and packaging actually take care of the product and ensure the safe delivery of the product. They also come in creative printing and designs. Decorative boxes for cosmetic packaging are also a good idea. These have catchy and colorful designs compelling people to buy them. They are crafted from cardboard and corrugated sheets. These boxes come in different options in printing also. Printing can also help as a marketing tool. Packaging with proper logo and description of the product enhance the awareness of your brand among people. It is important that packaging should be eco-friendly and toxic free as it is important for health. There are many kinds of products available that are suitable for packaging the amazing products of the aquarium. It is the best alternative available in the market. Aquarium and its products are highly delicate and they always need a special protection. BoxesMe provides a special type of packaging material with extra safety and fastest delivery. Such products are highly delicate and they always need a safety so that they can be protected from damage. BoxesMe is the top-ranked company that provided millions of options for their valuable customers. 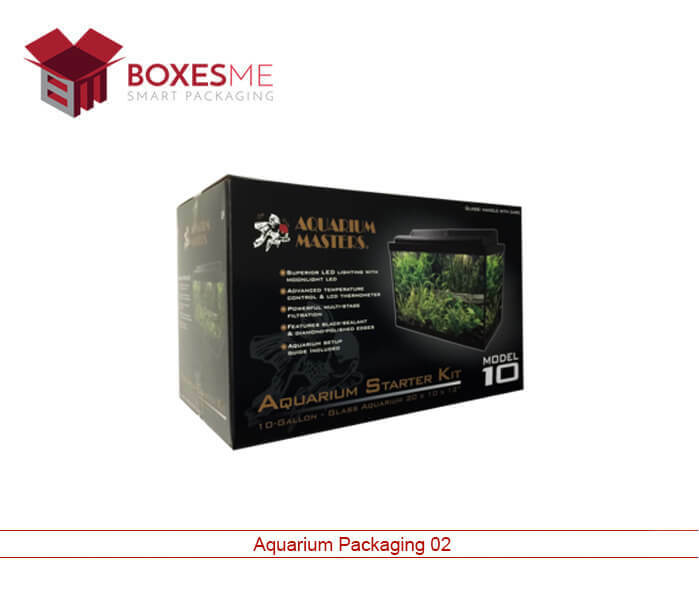 They are providing high-quality aquarium product packaging boxes that would be liked by millions of people.